Healthy Aging NC | AndiSites Inc. Healthy Aging NC partners with nonprofit organizations, government, and businesses to provide innovative community programs and services that meet the needs of North Carolina Older Adults and Adults with Disability. The organization focuses on Evidenced-Based Programs in the areas of Fall Prevention and Chronic Disease Self Management. 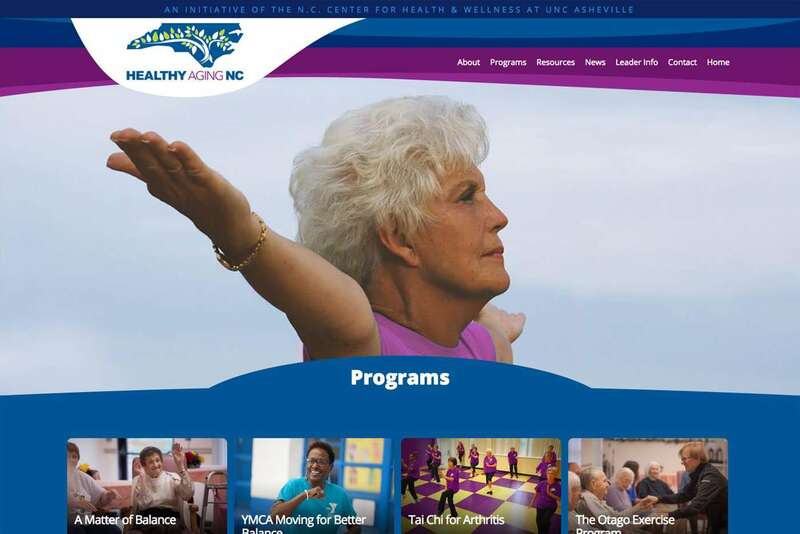 Healthy Aging NC, a project of the North Carolina Center for Health and Wellness (NCCHW) at UNC Asheville, needed a new website that would speak directly to their older audience and be easy to navigate for less tech-savvy users. They had a simple site in WordPress, but it didn’t have the personality needed to communicate their goals. They also needed a logo and brand identity. They had classes and content, but website-wise they were pretty much starting from scratch. 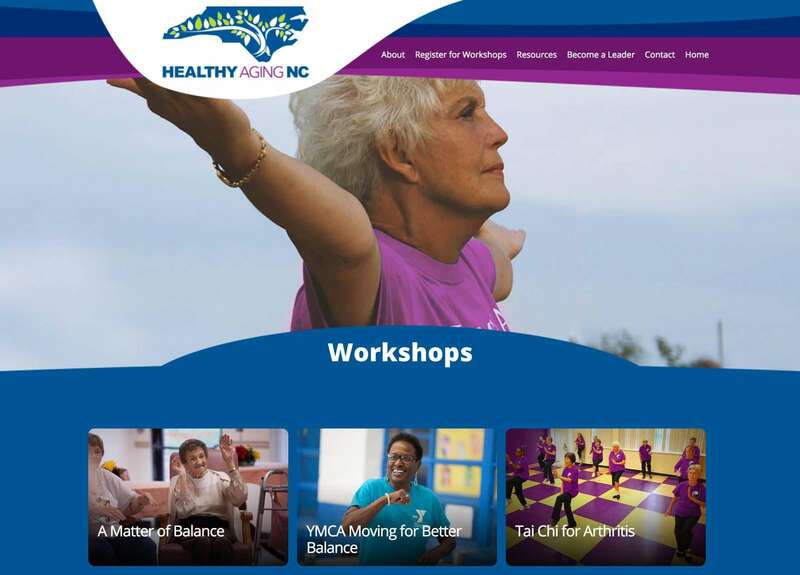 AndiSites created a new, colorful logo and brand palette for Healthy Aging NC that communicates energy and vitality. 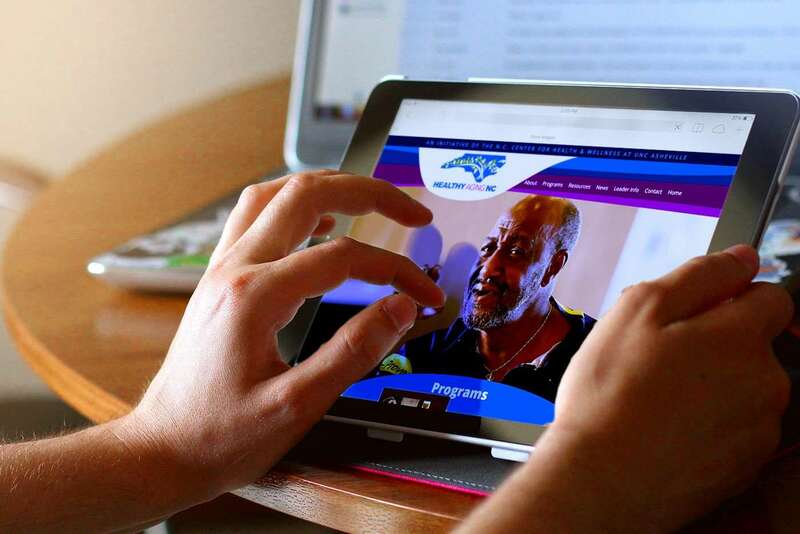 We designed and developed a custom full-width website design that showcases progams, classes, and events and makes it easy for users to register online. WordPress lets administrators easily add and update information, including webinars, videos, and other interactive content to further engage their audiences. 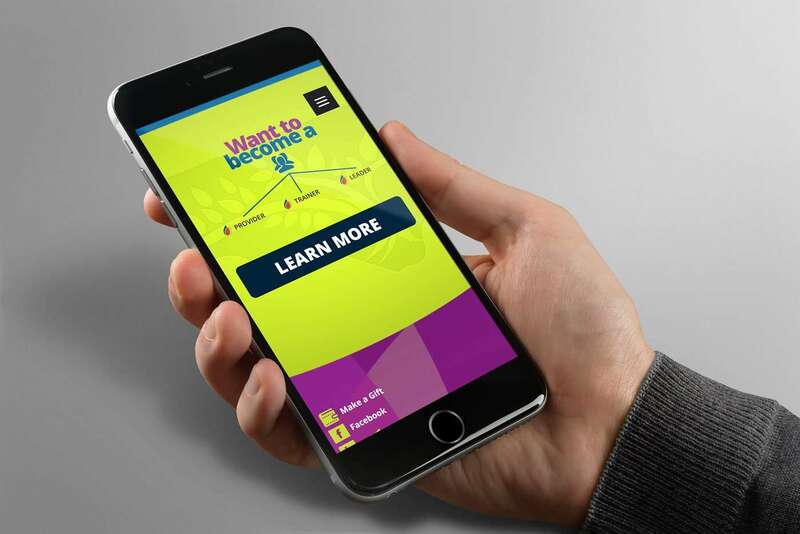 Healthy Aging NC now has an award-winning, mobile-friendly website that is easy to navigate, accessible, and fun to explore. Their audiences love using it, and website administrators are thrilled with how easy it is to add and update information. 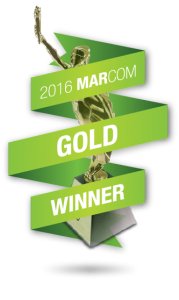 Within the first year after launch, the number of website users increased more than 300%. Mobile usage is also steadily increasing, keeping pace with the growing number of older adults navigating websites on mobile devices. AndiSites was also engaged for ongoing support and maintenance, making sure that the Healthy Aging NC website core software and plugins are regularly updated, its database is optimized, and it continues to run well.